For all of you who follow me on Instagram, this picture is old news! For all of you who have Instagram and want to follow me, my user name is MissHollyBerries. But be prepared for some vain selfies, pictures of my cat, nail polish pictures and every once in a while pictures of my food. I did this manicure a few weeks ago when I still had Jade “Mystic Gold” on. Mystic Gold had some tip wear but I didn’t feel like taking it off yet, so I decided to try out a holographic gradient going from gold to dark green. And this is what I came up with! To get this look, I did a classic gradient technique using a wet cosmetic sponge. I cut a cosmetic sponge to be the size of my finger and then painted the 4 colors in a line across the sponge. Then I dabbed the sponge across my nail. I did do 2 coats of the sponging technique, not for opacity but to make sure that the colors seamlessly transitioned. I really like the overall result! What do you guys think? 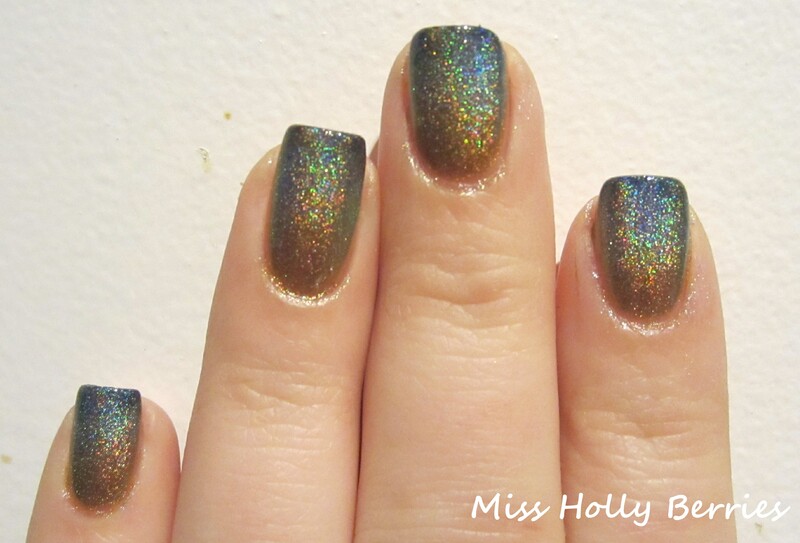 Do you like gradient manicures? 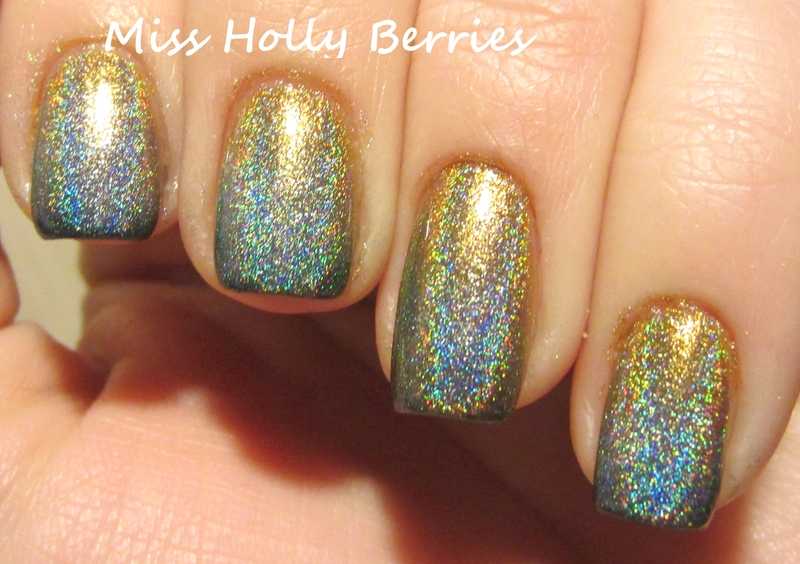 Color Club Halo Hues 2012 Collection! ← Origins Clear Improvement Charcoal Face Mask Review! thanks mariska! i think i’m gonna play around with a pink and purple one next! Amazing! I totally LOVE this! It looks great. You did an awesome job.